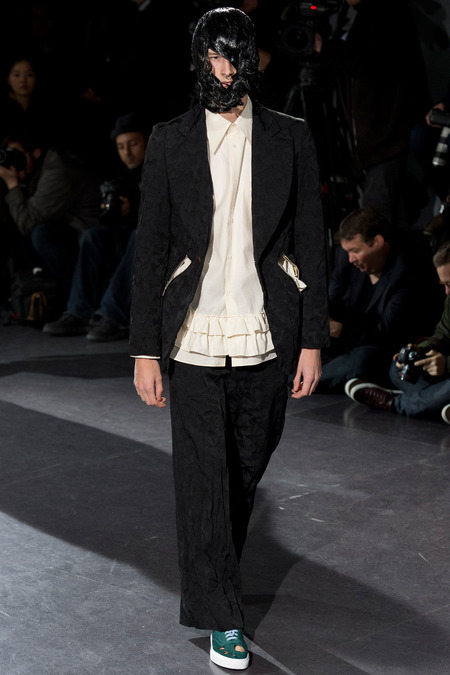 The hair and makeup, Julien d’Ys. 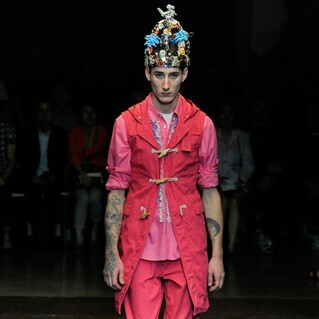 Hat is the work of Stephen Jones. 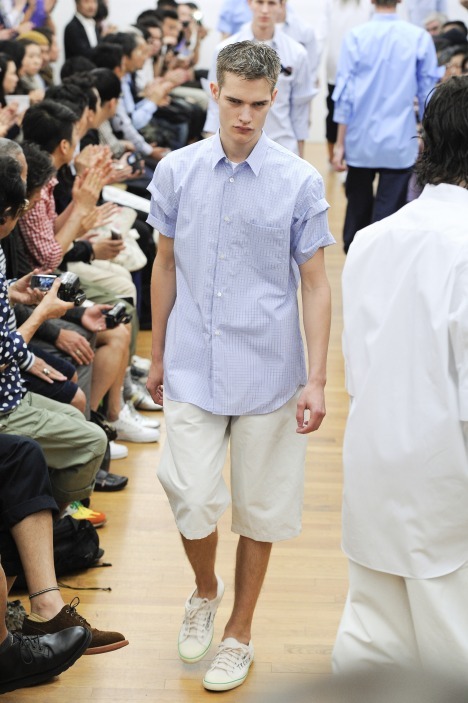 Spring-Summer 2013 collection GANRYU. 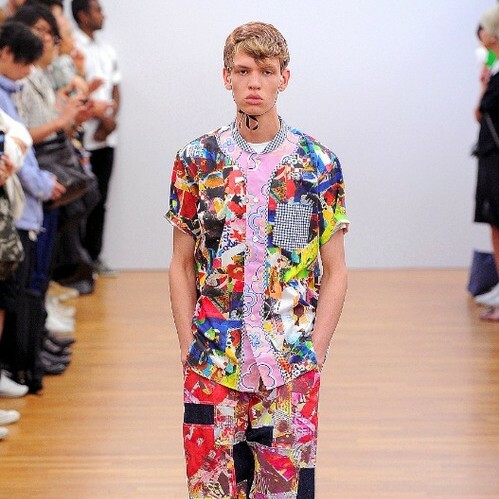 The theme is “Meaning and Meaningless”. 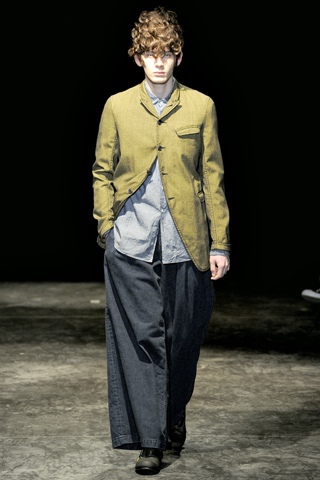 Basic items and materials is characteristic. 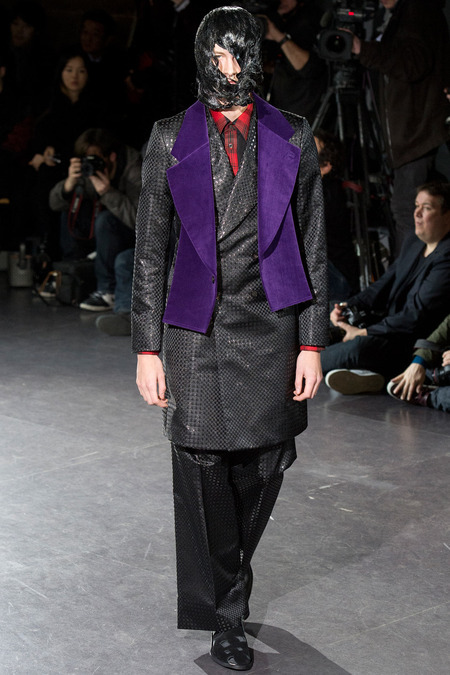 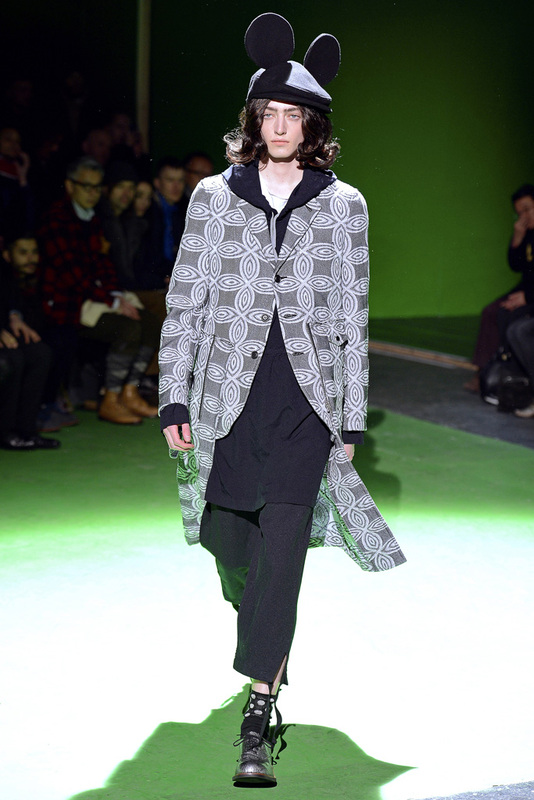 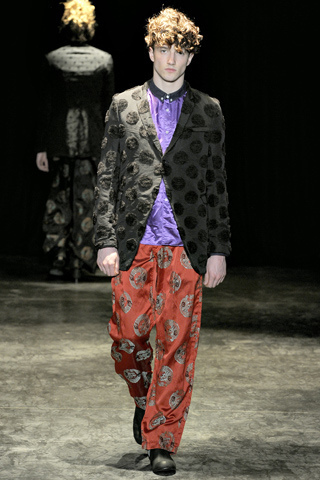 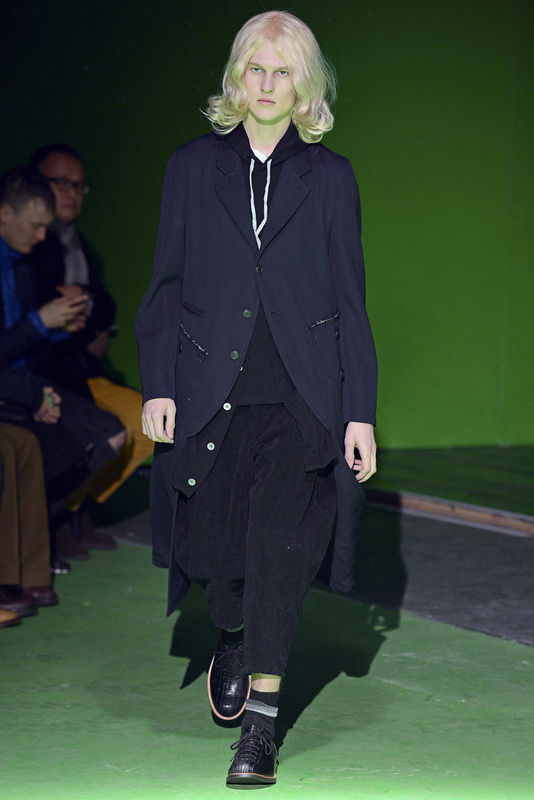 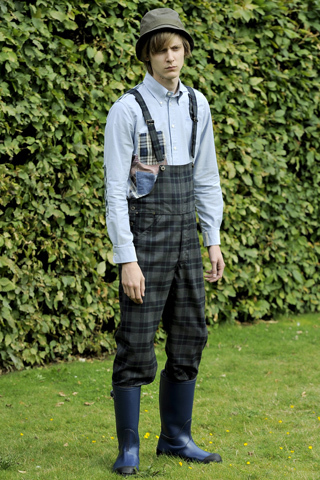 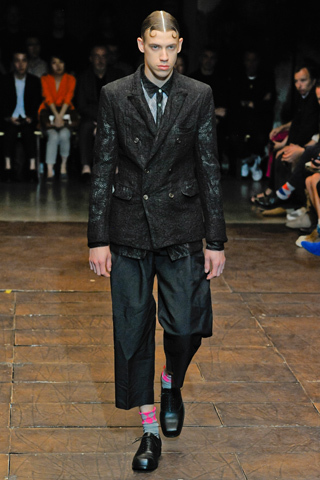 COMME des GARCONS 2012 Fall/Winter collections. 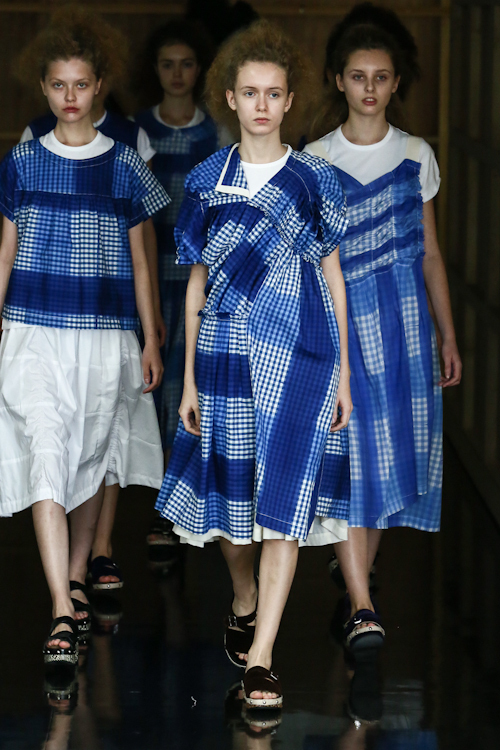 Non-Conformist Clothes Like a Dress Pattern. 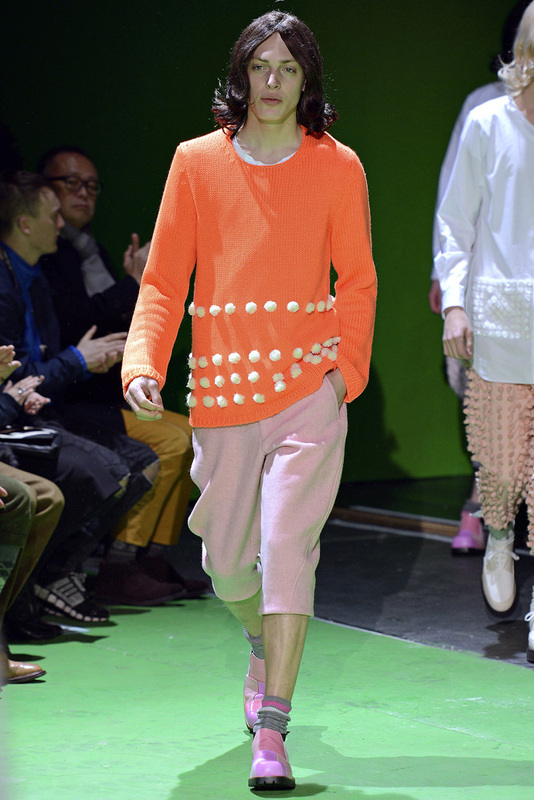 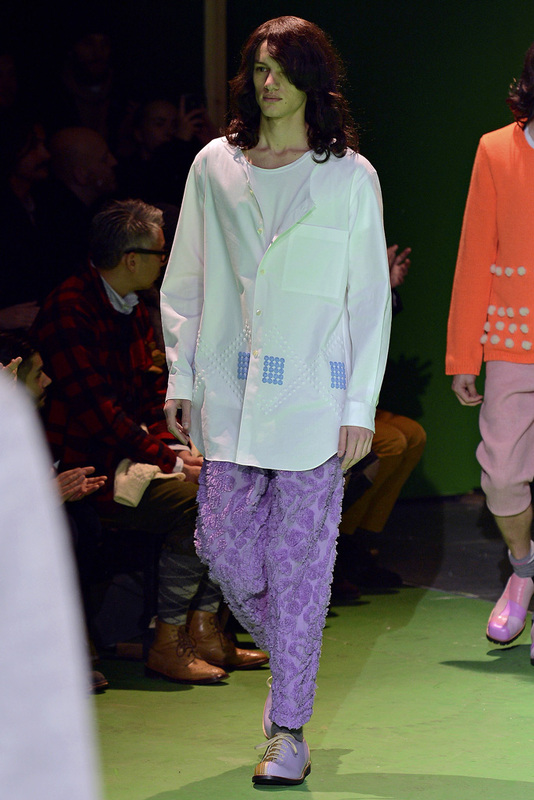 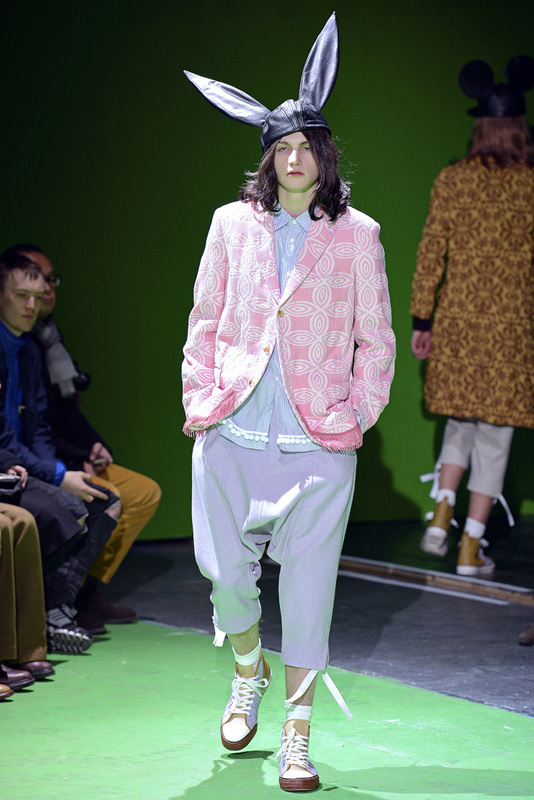 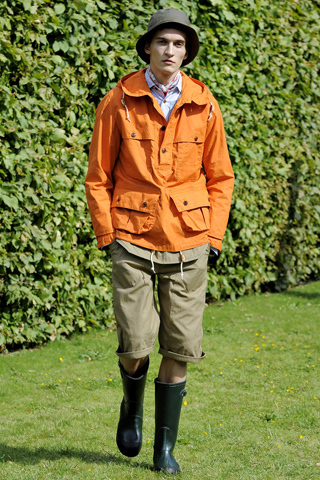 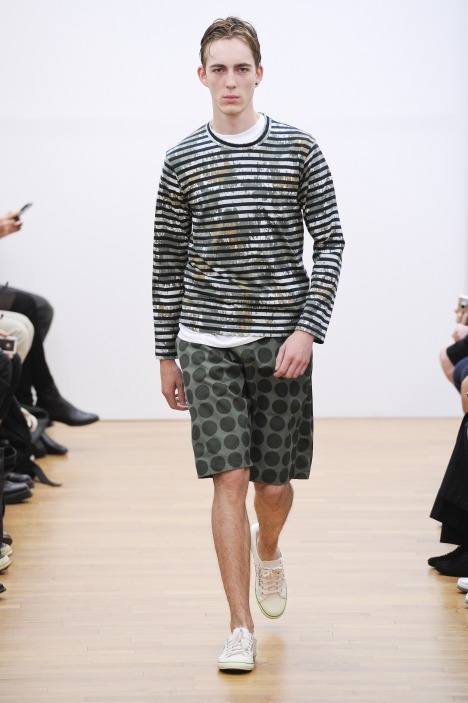 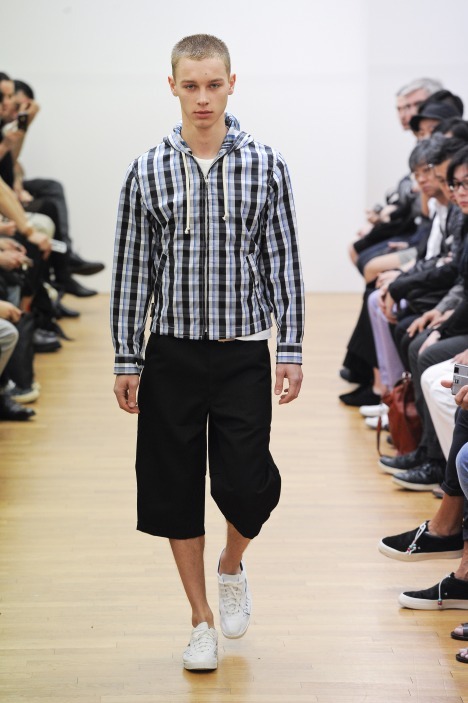 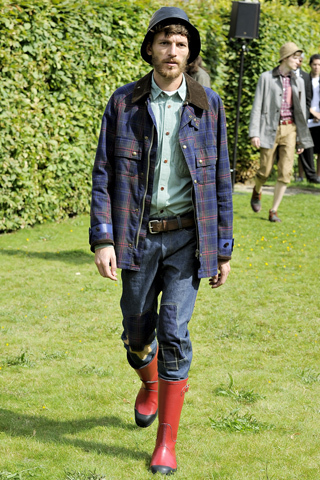 COMME des GARCONS Homme Plus 2013 Spring/Summer. 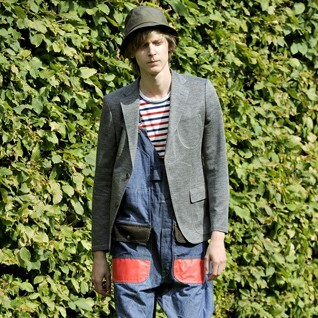 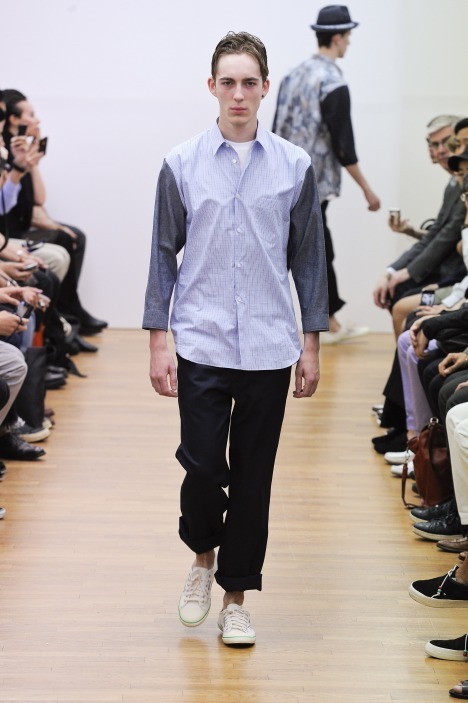 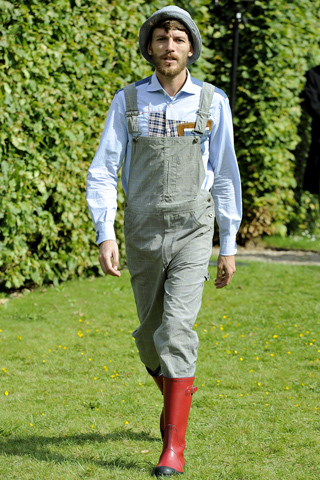 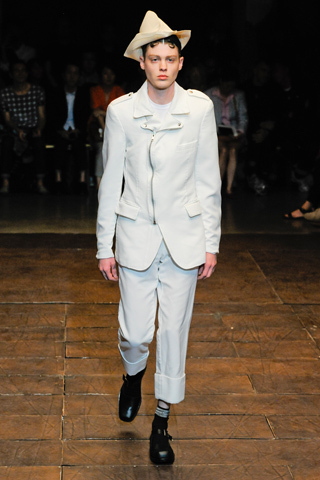 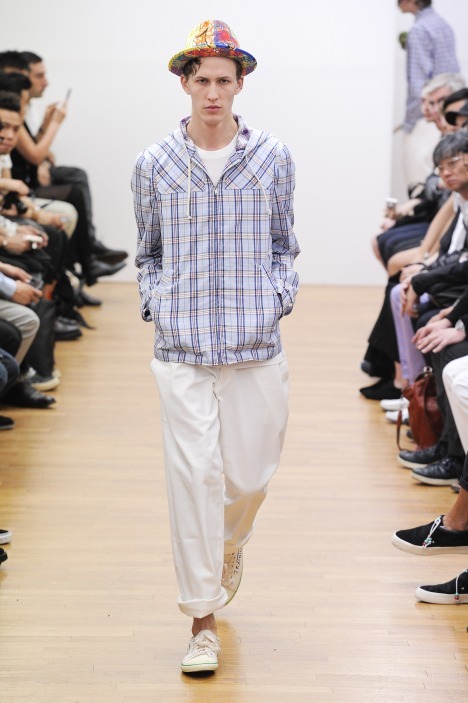 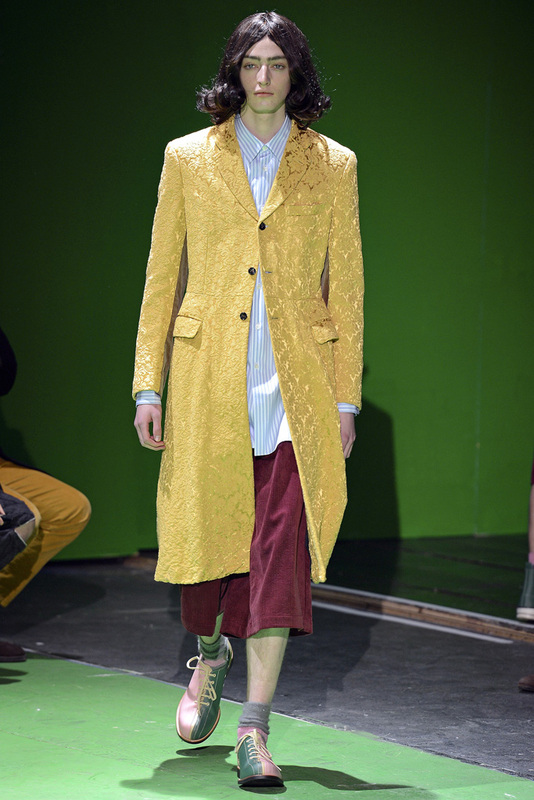 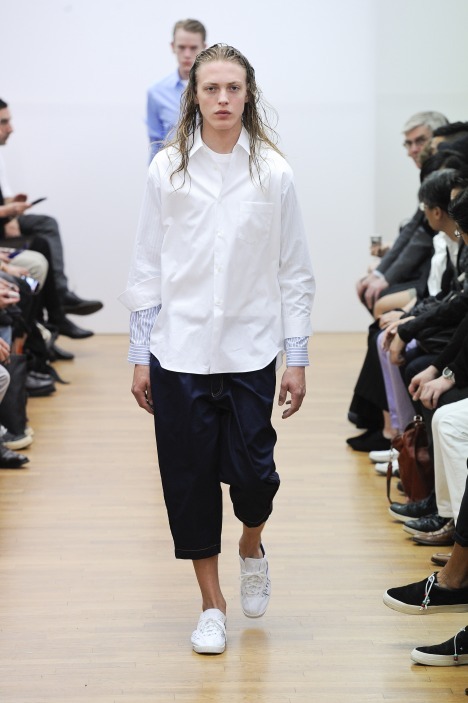 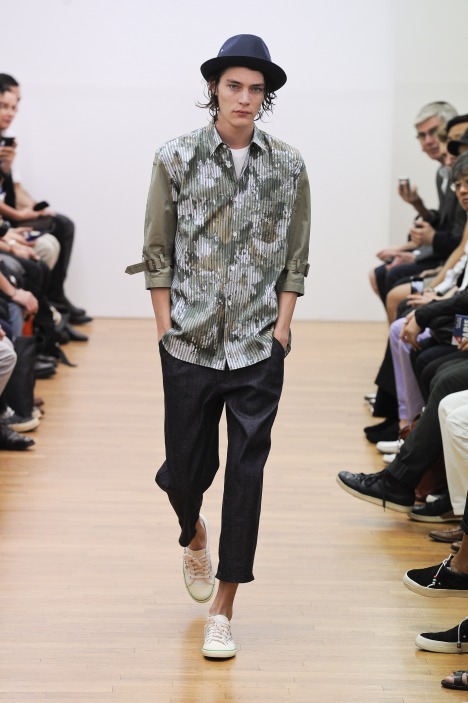 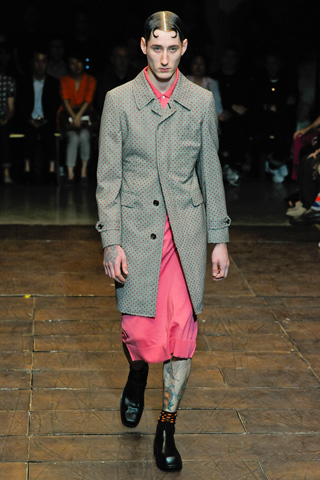 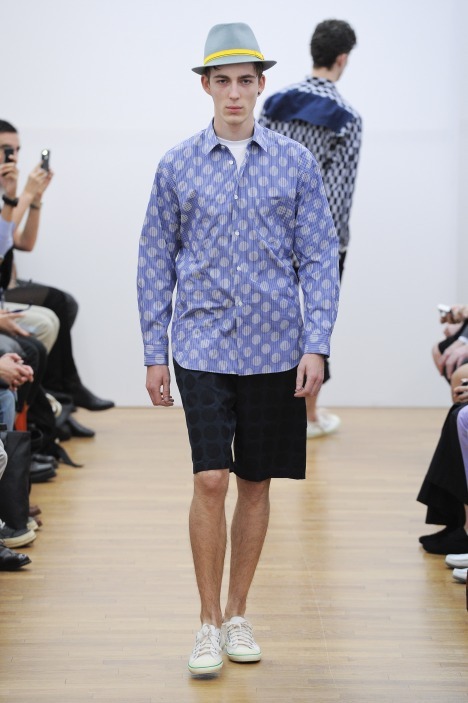 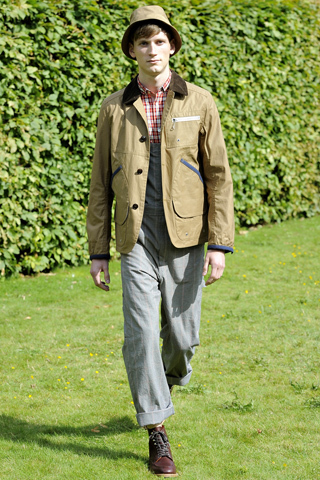 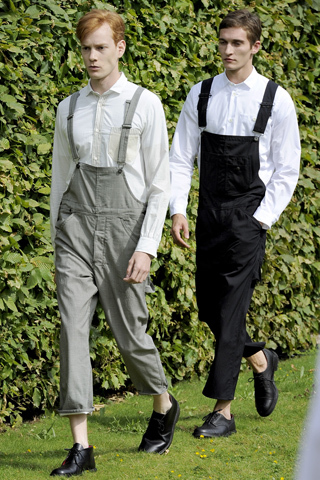 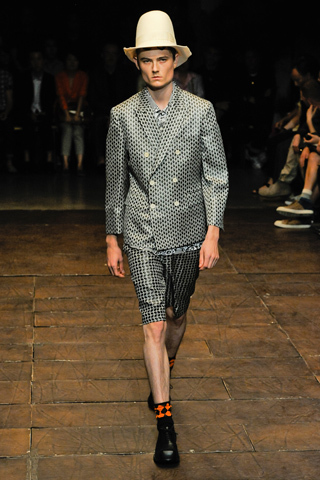 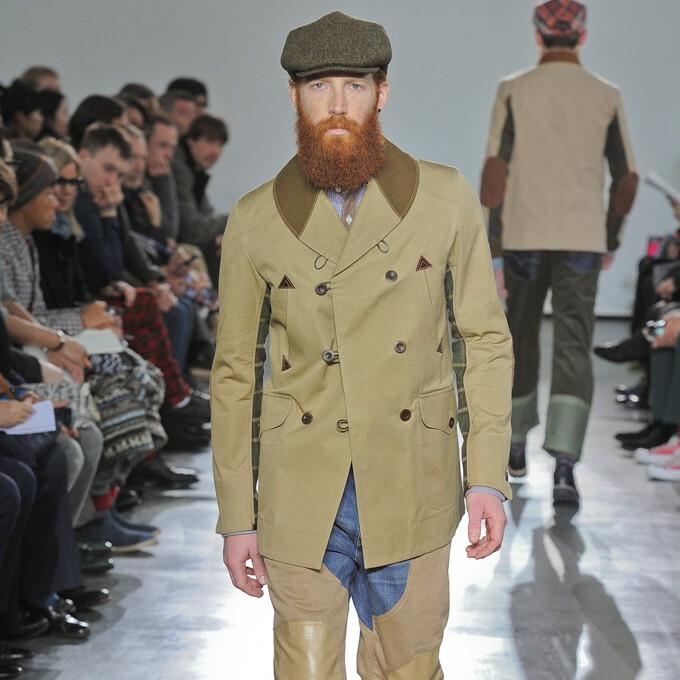 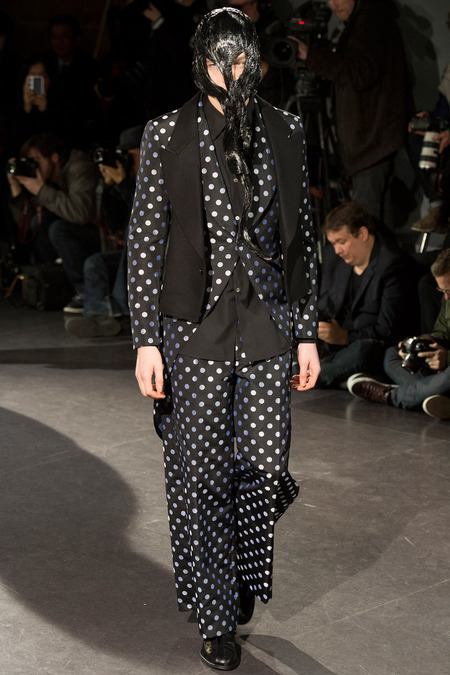 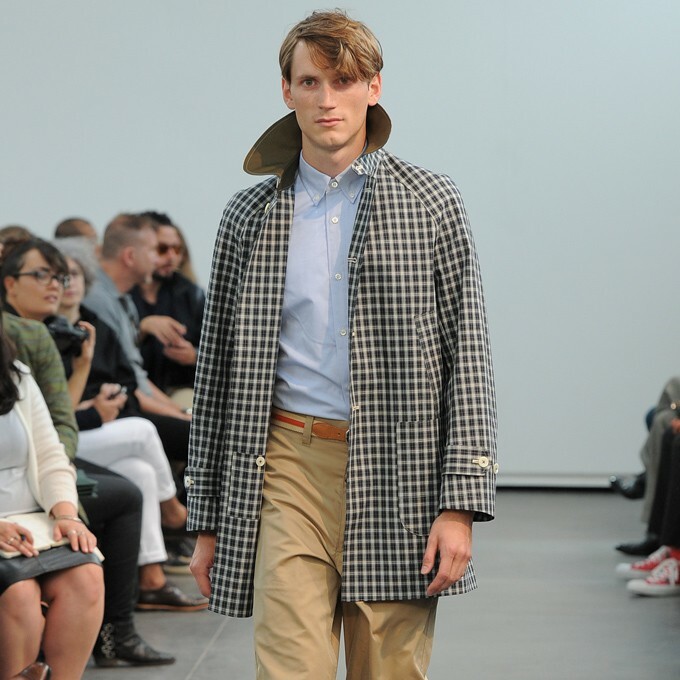 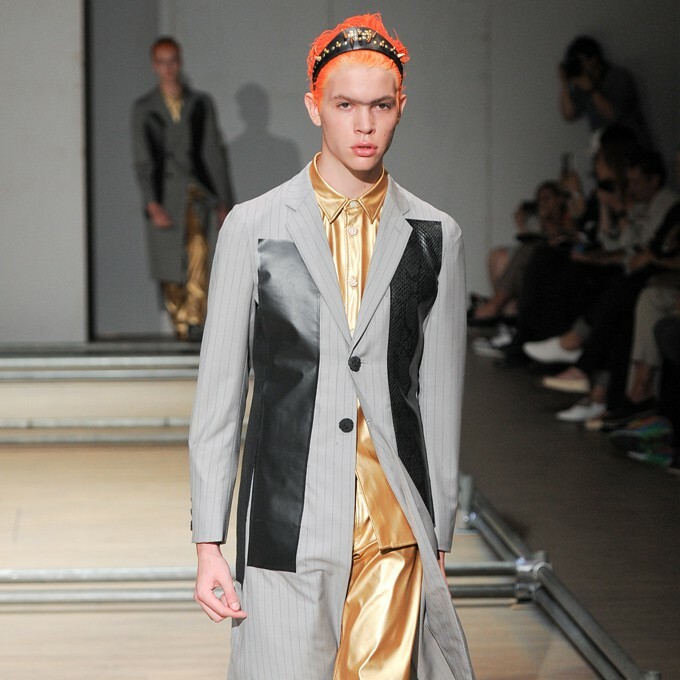 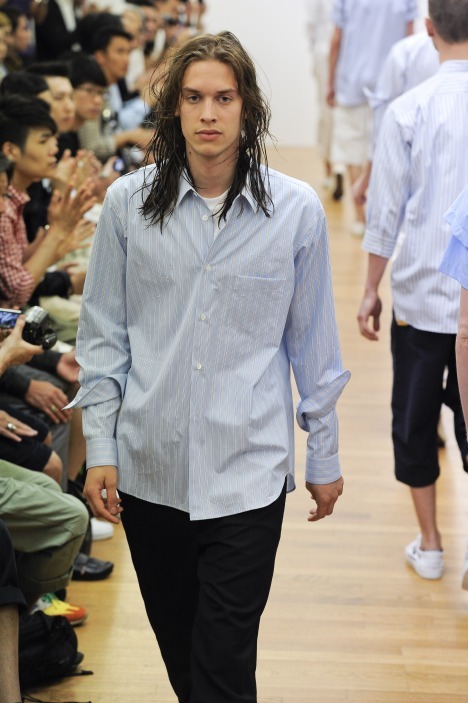 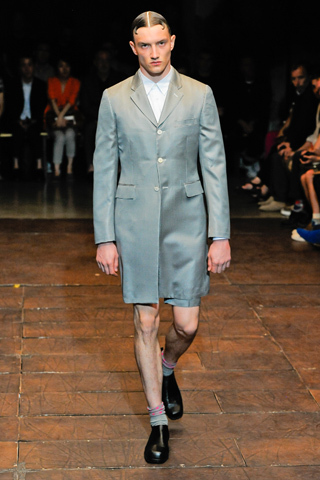 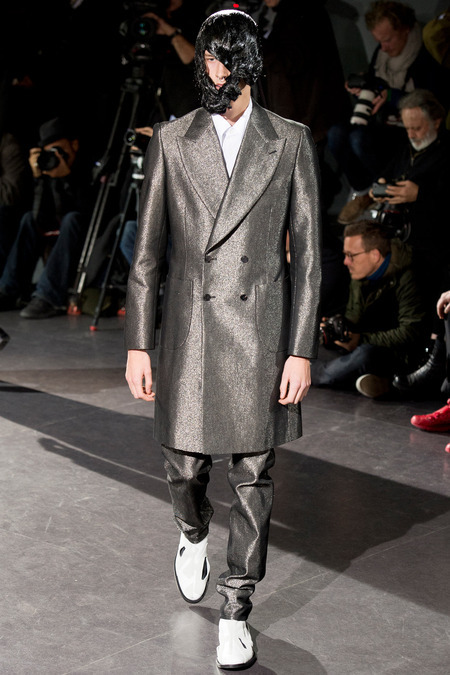 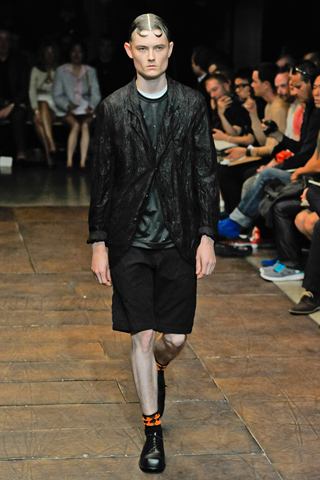 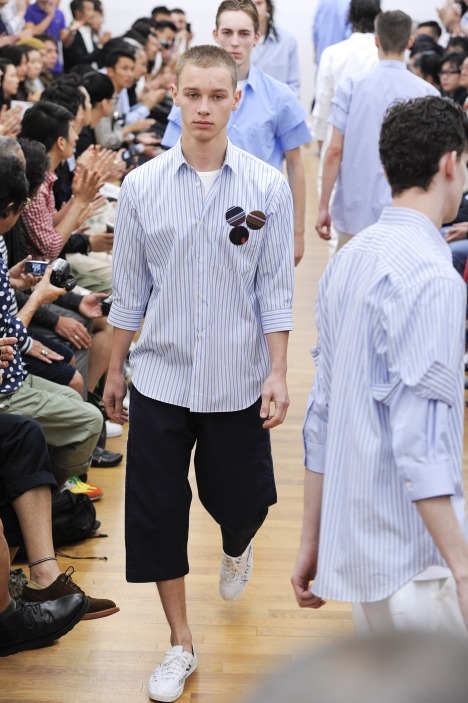 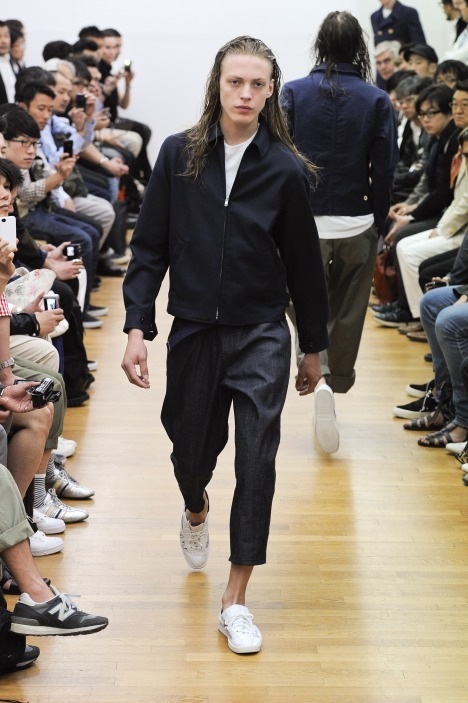 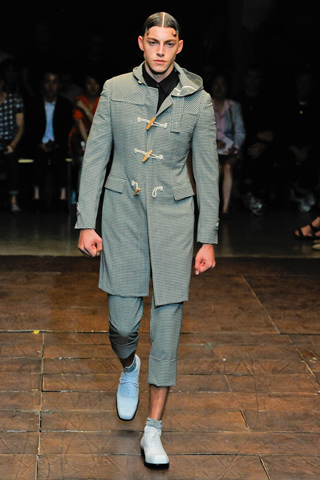 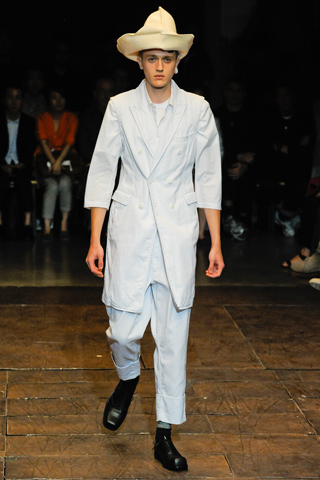 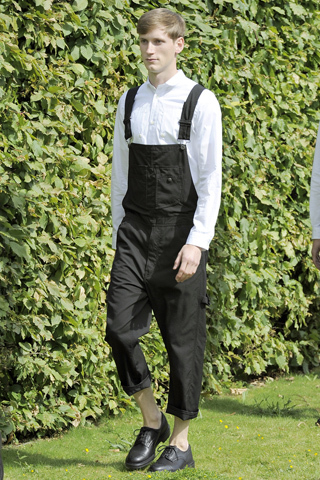 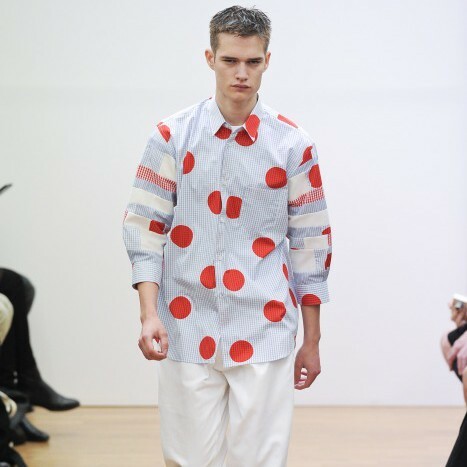 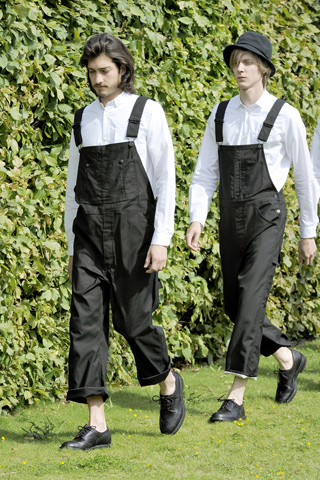 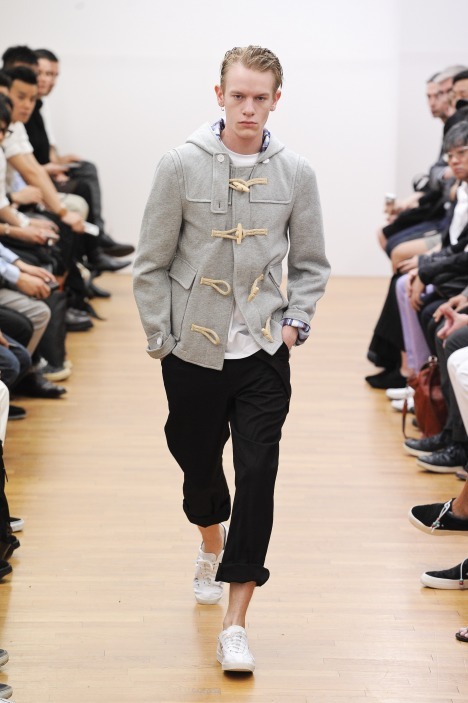 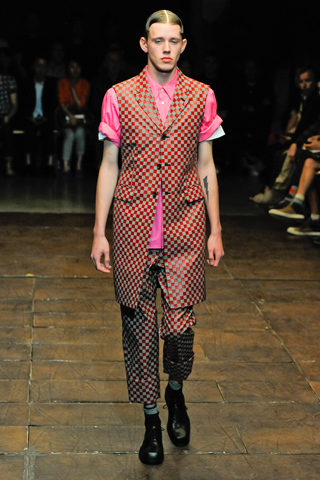 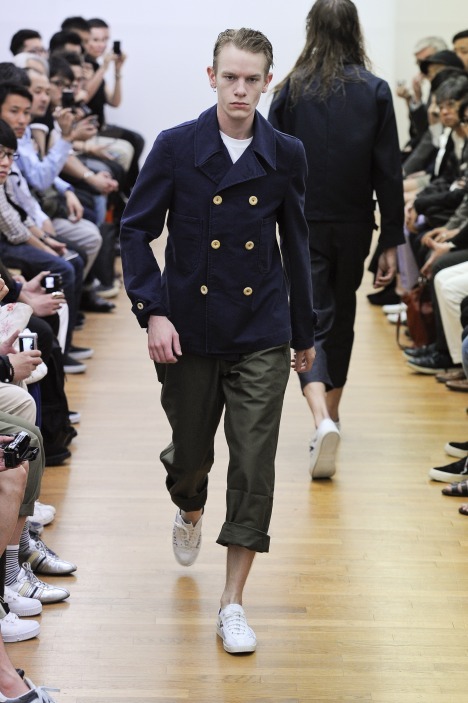 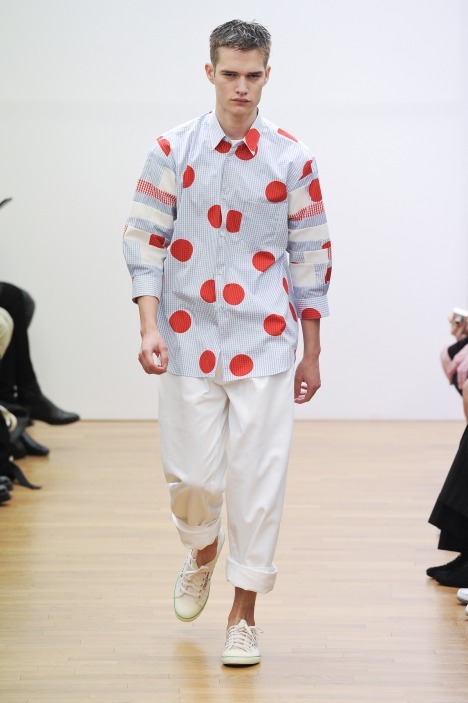 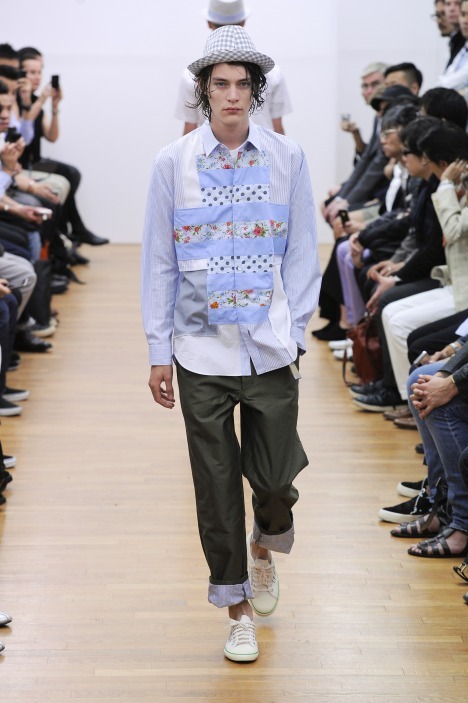 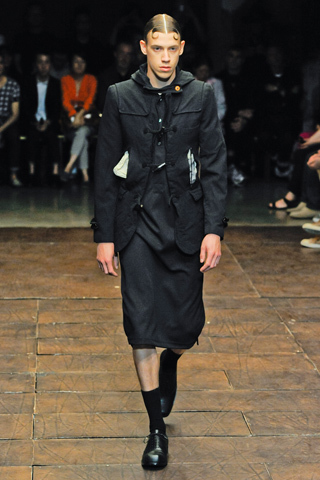 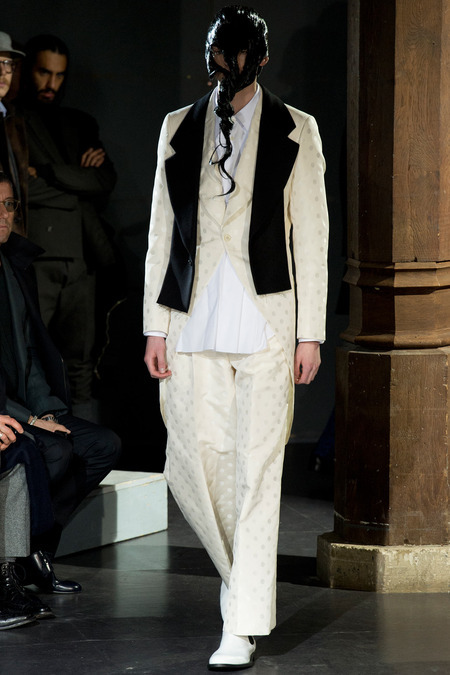 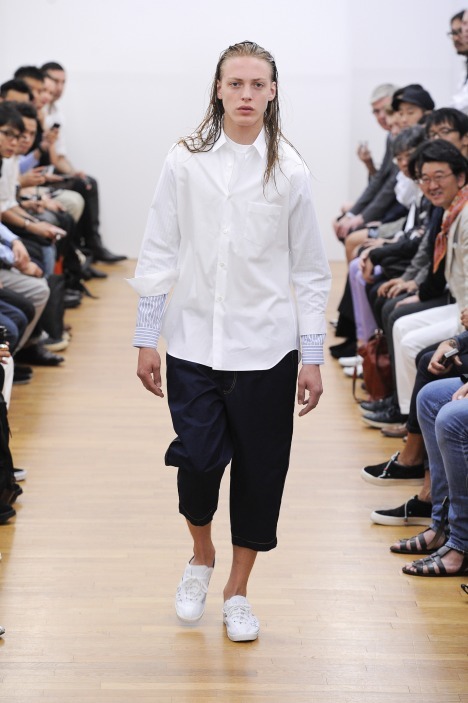 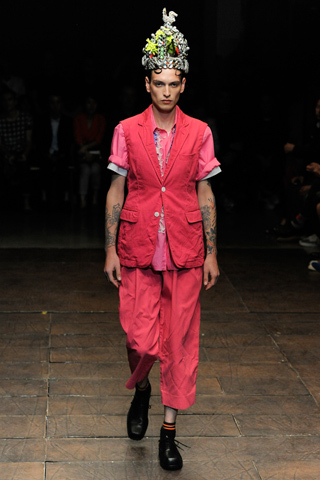 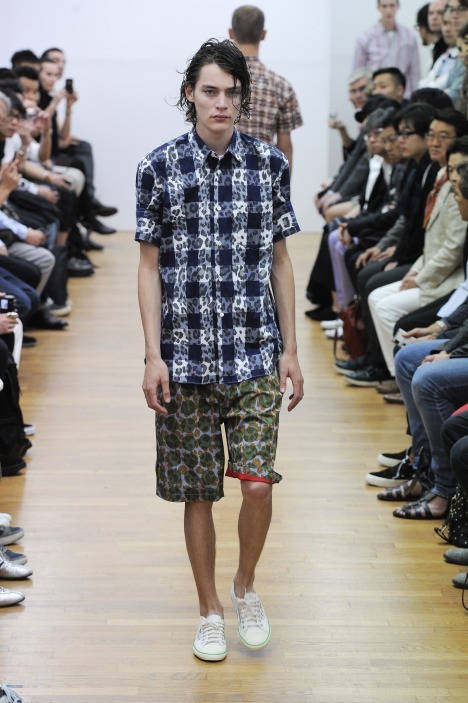 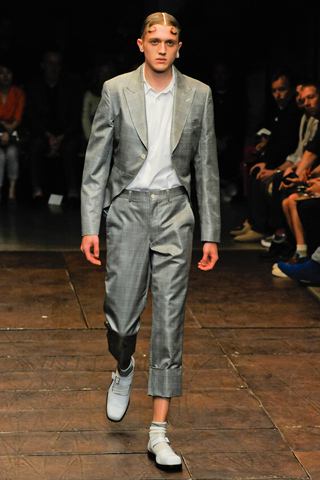 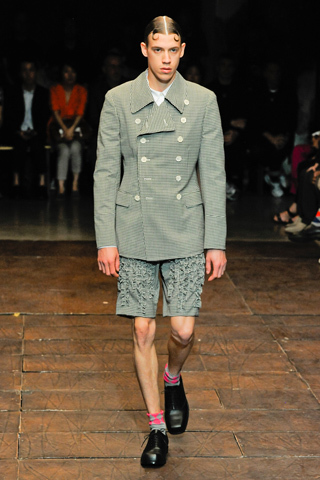 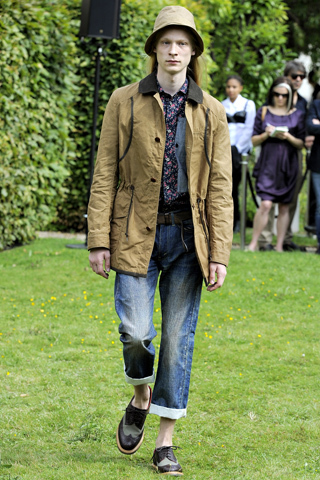 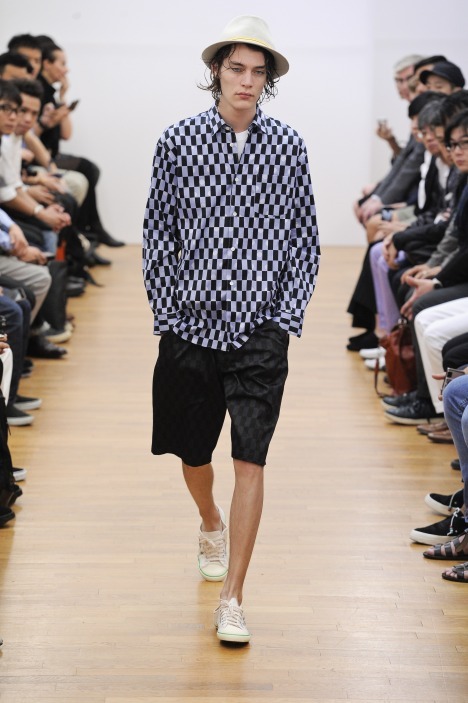 Theme of the collection spring-summer 2013 JUNYA WATANABE COMME des GARÇONS MAN is, Tailored. 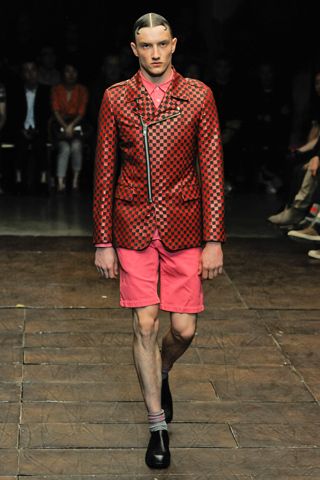 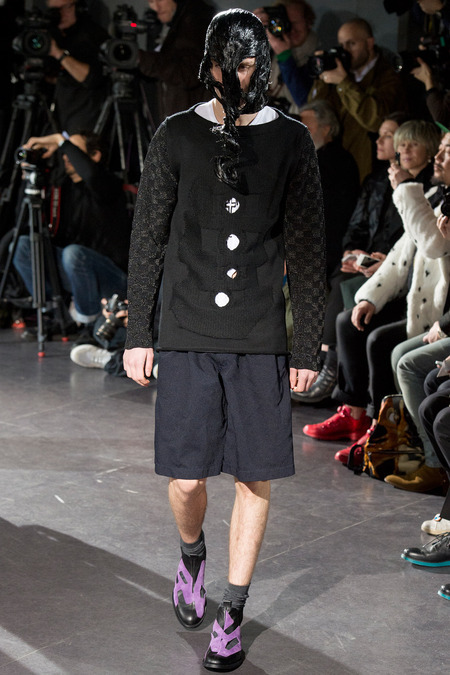 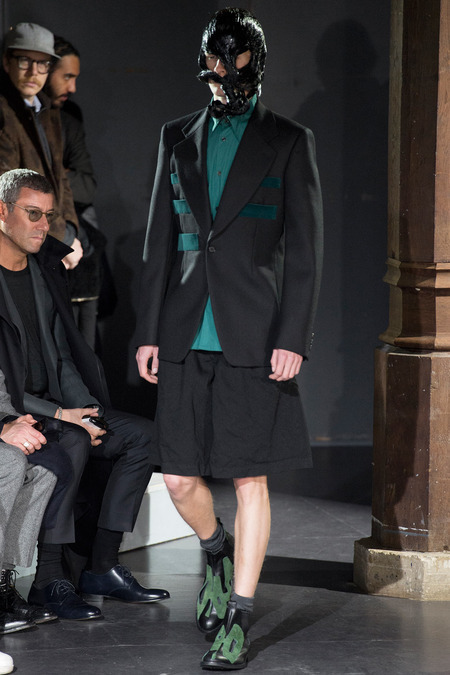 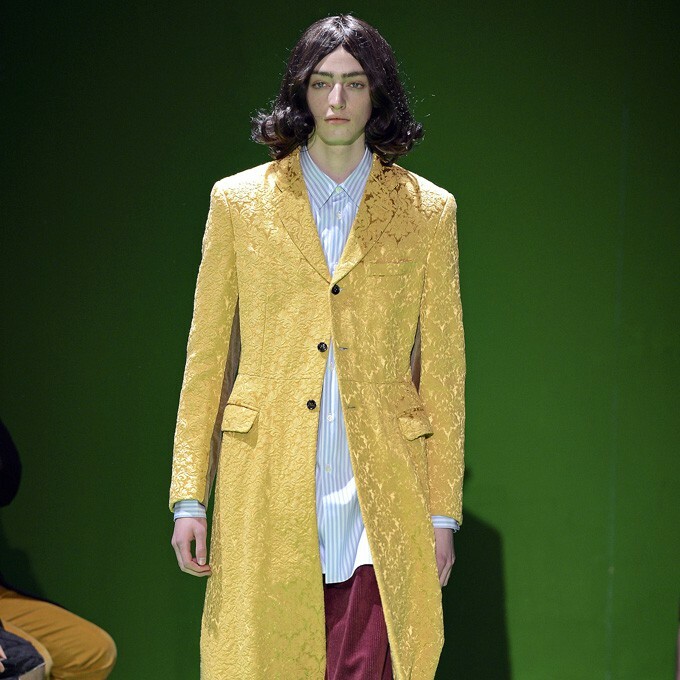 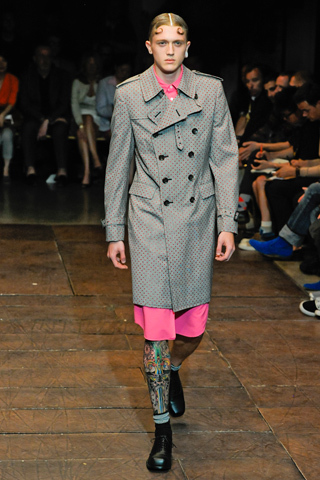 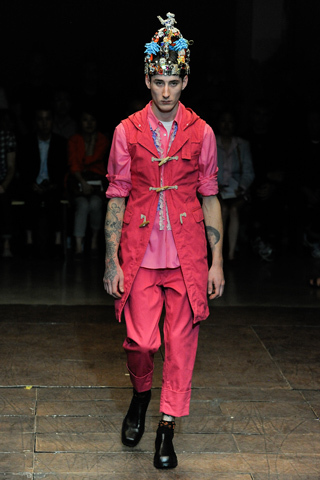 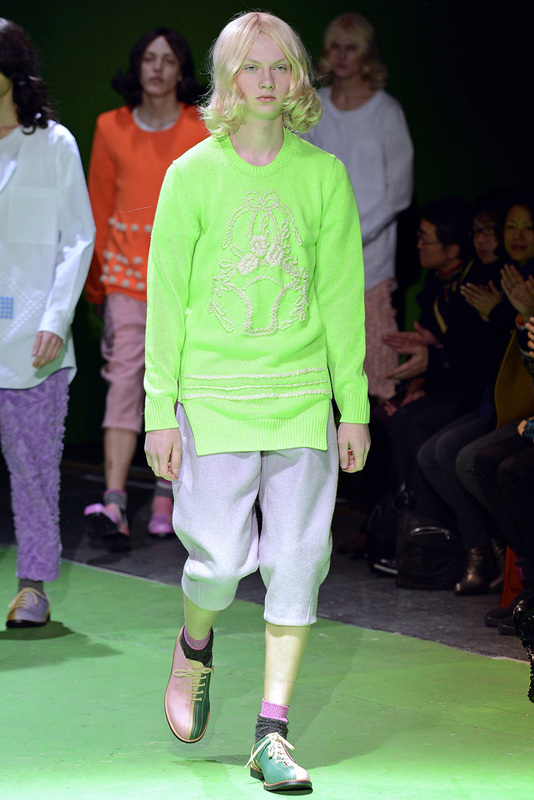 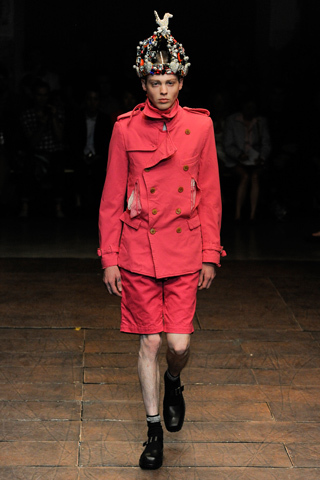 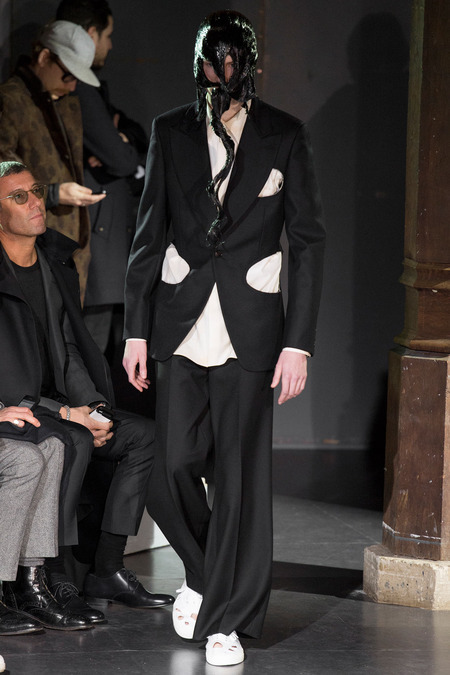 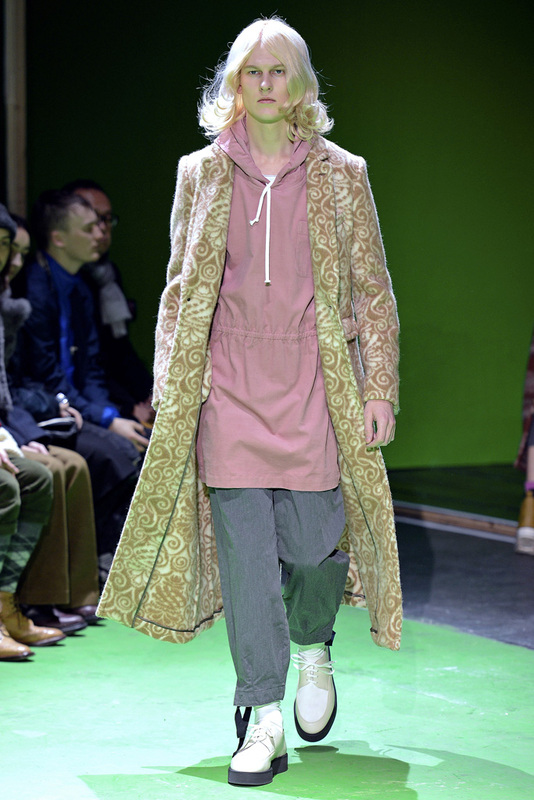 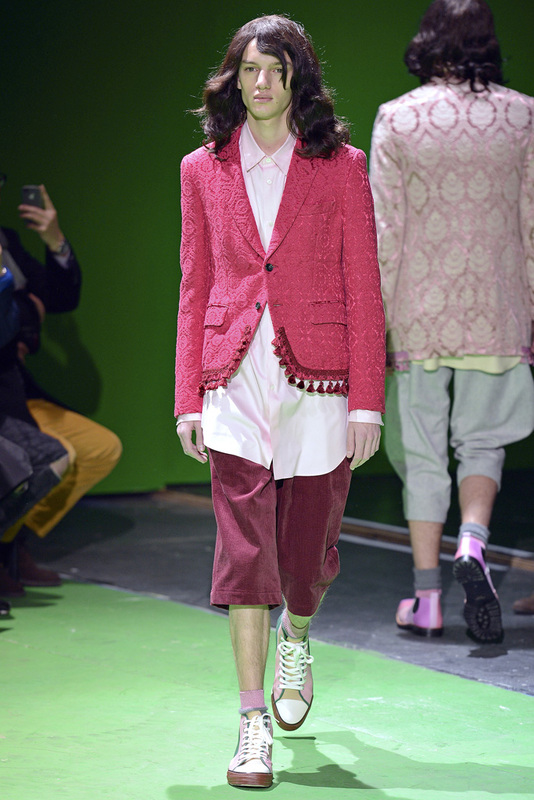 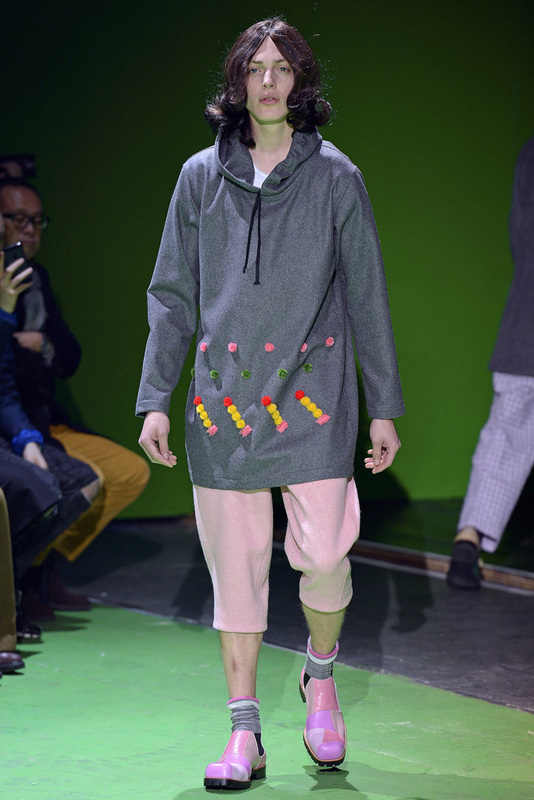 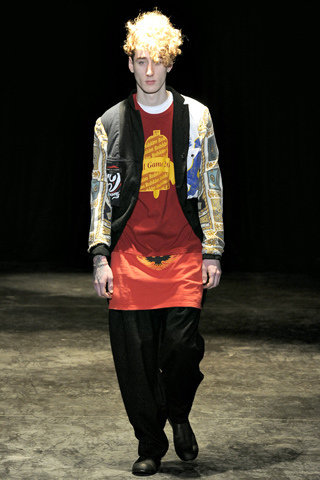 Theme of　COMME des GARÇONS HOMME PLUS 2013 Spring-Summer is “Poor King”. 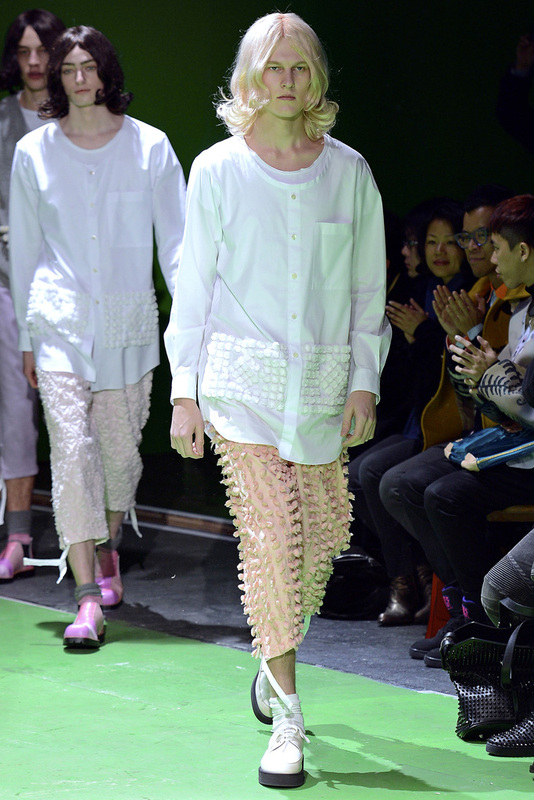 Floor show of tricot COMME des GARÇONS was held October 23, 2012 at showrooms in Minami-Aoyama, Tokyo. 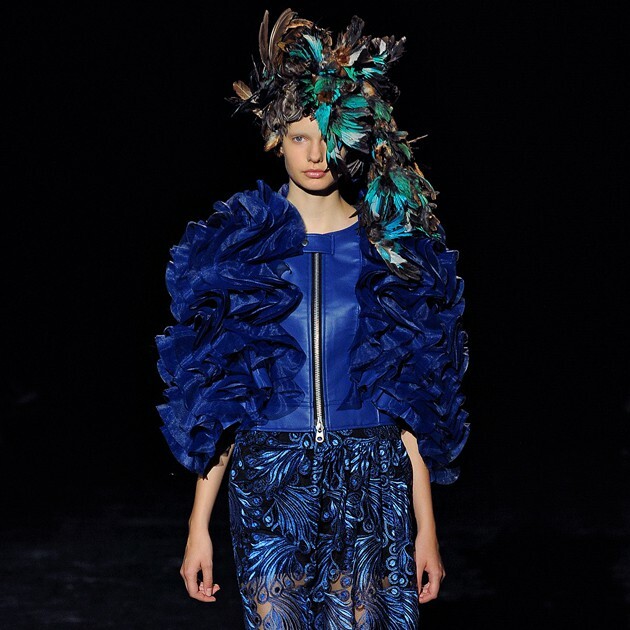 The theme is “All Blue”. 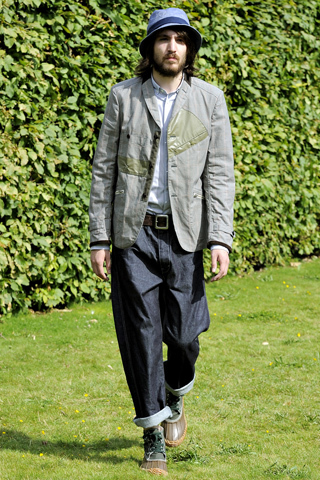 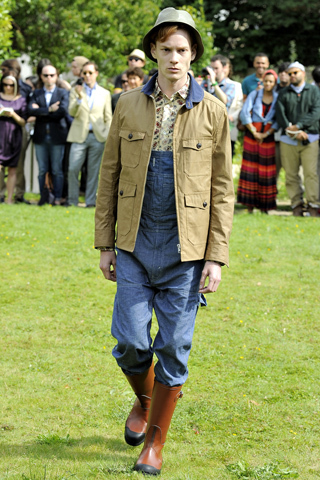 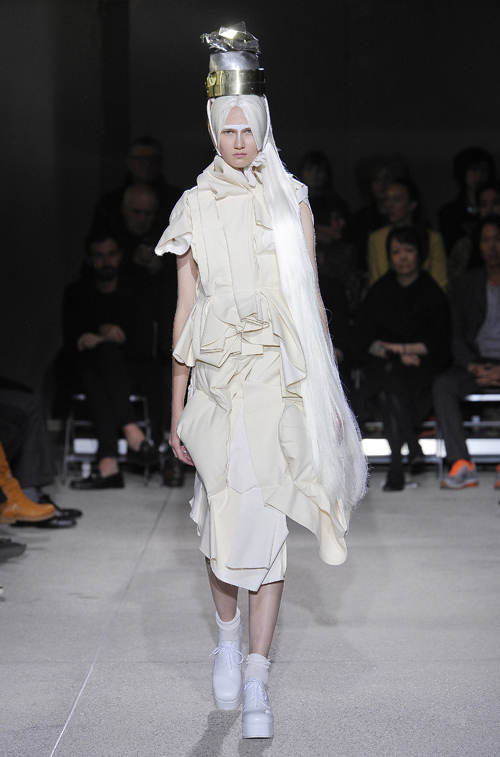 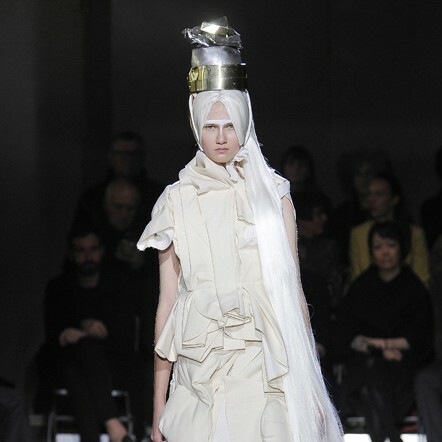 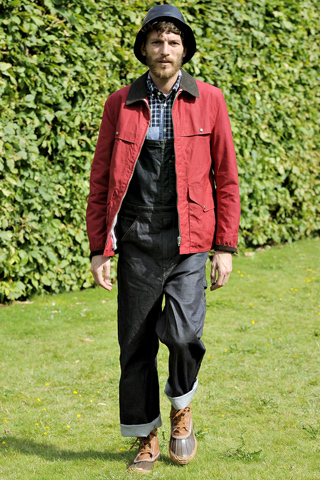 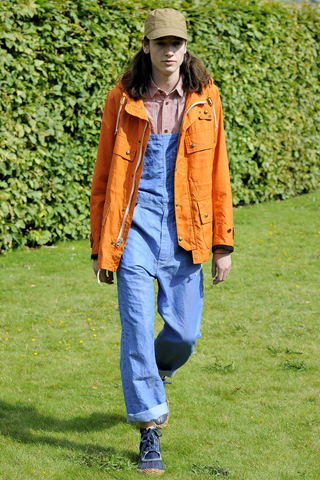 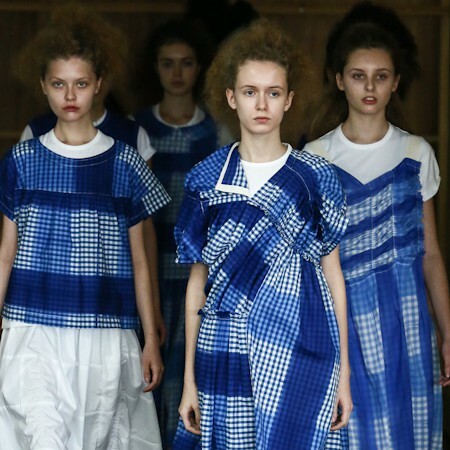 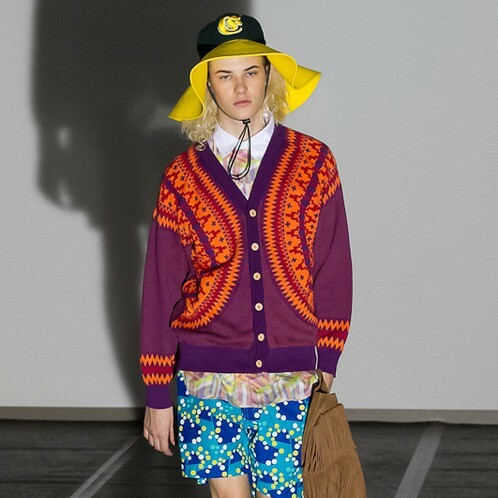 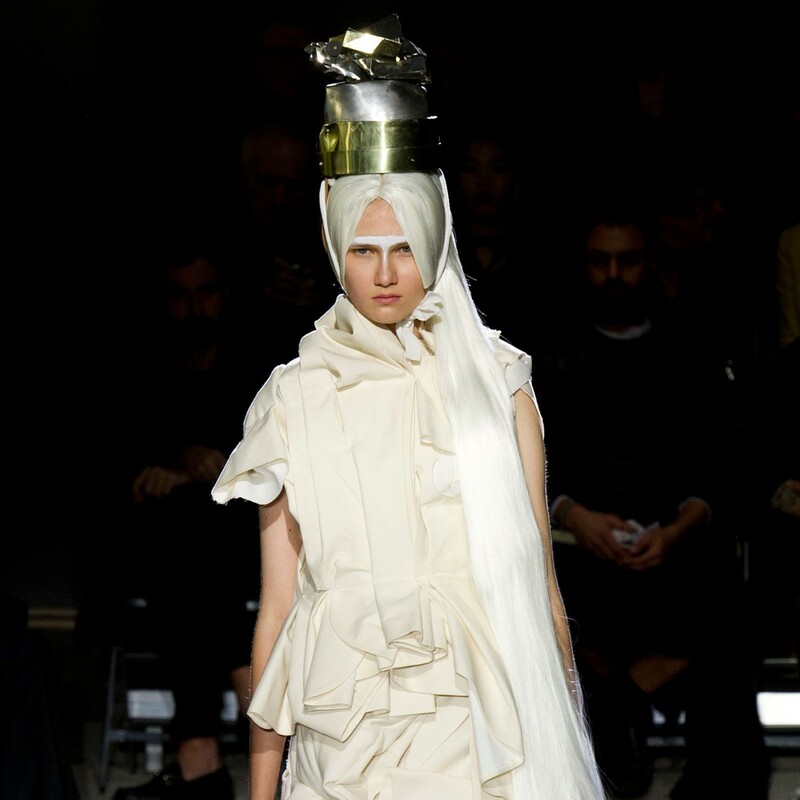 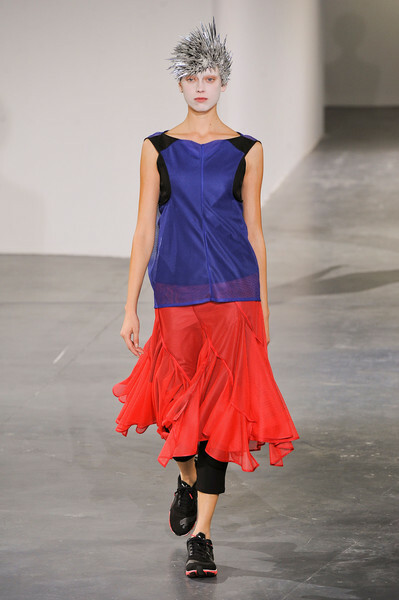 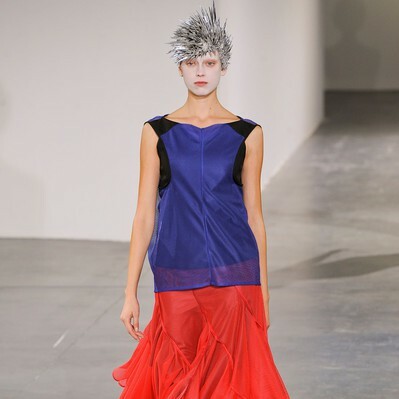 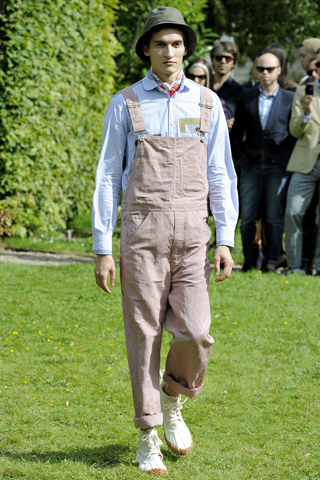 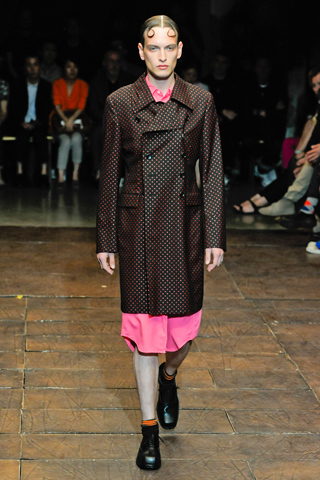 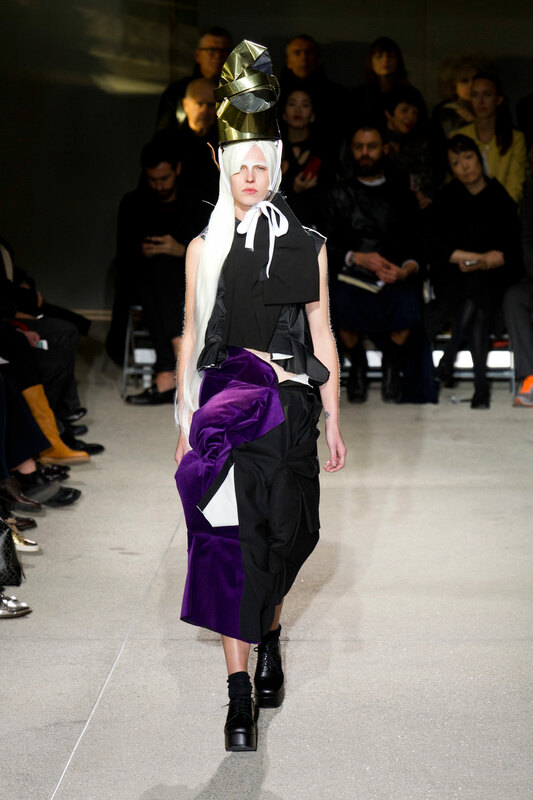 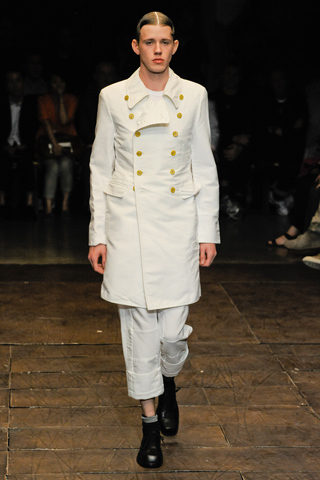 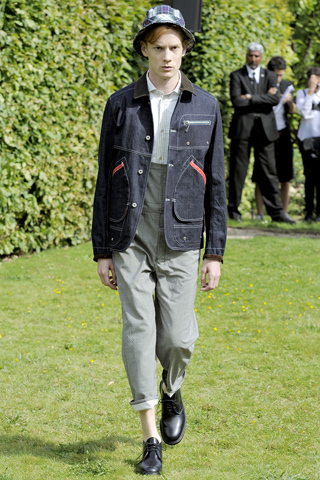 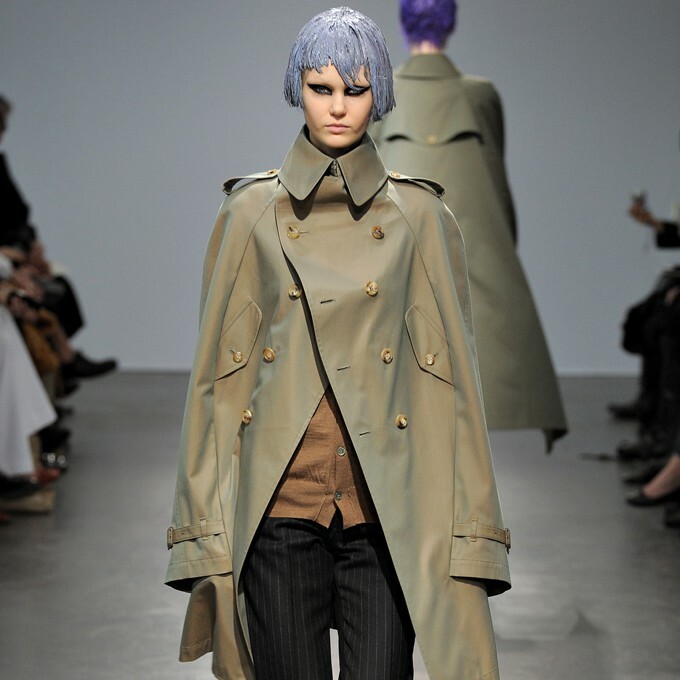 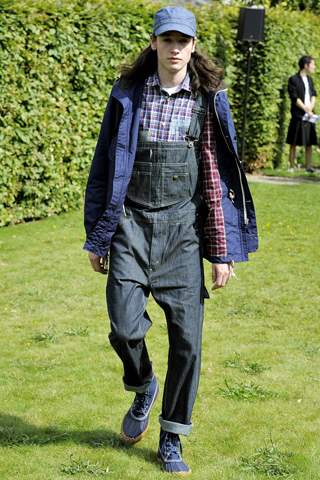 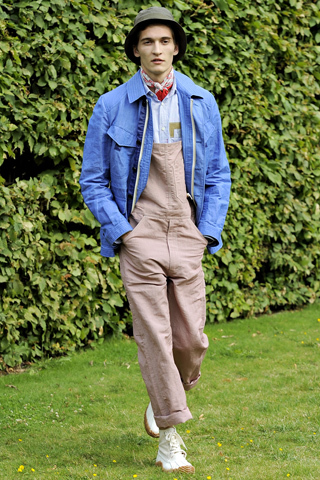 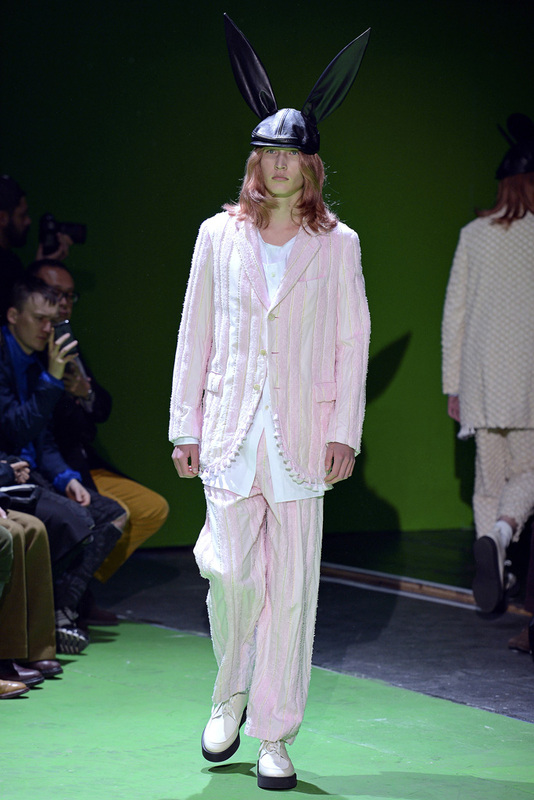 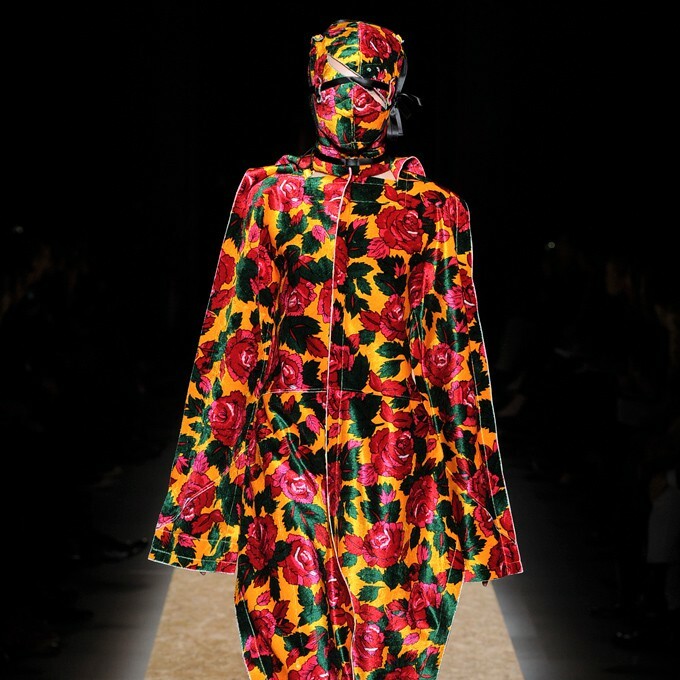 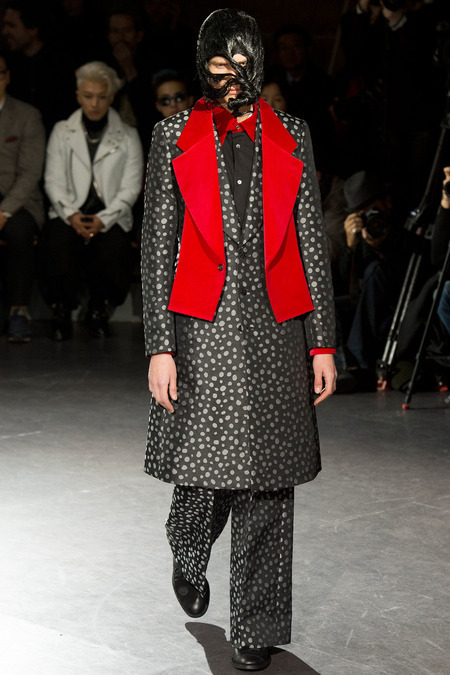 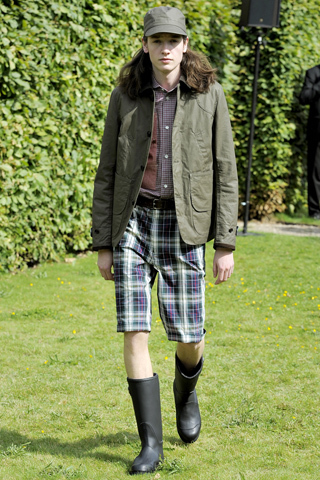 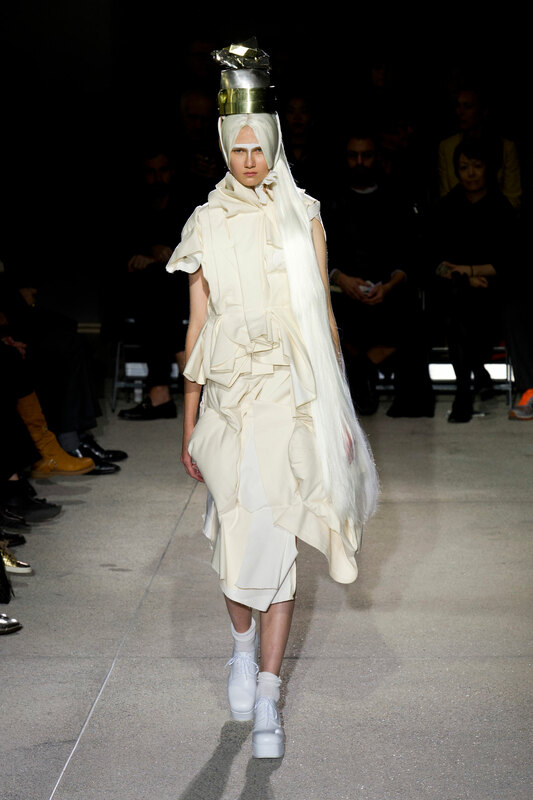 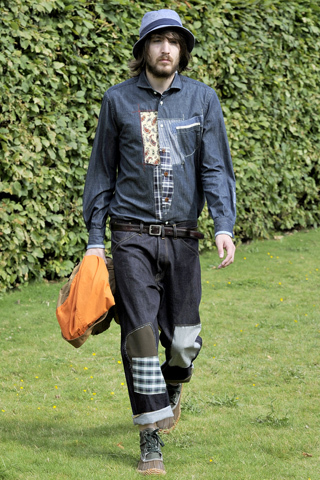 Browse all runway pictures of Junya Watanabe at Paris Fashion Week Spring 2013. 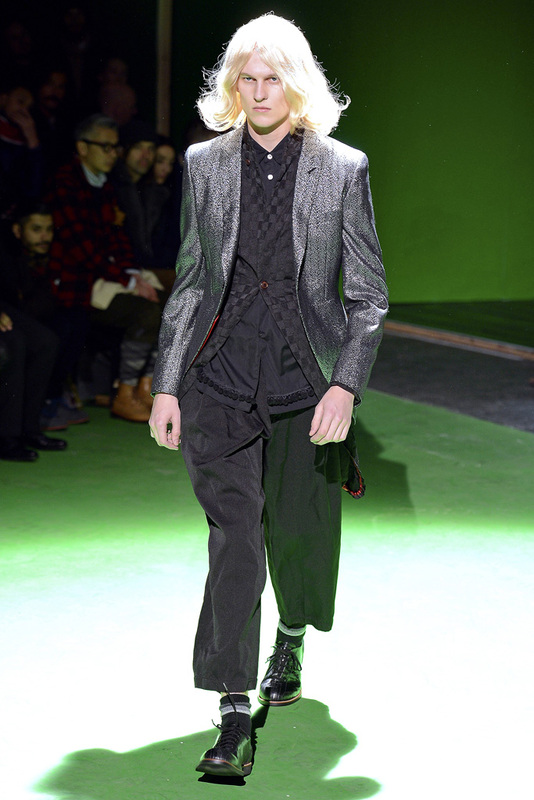 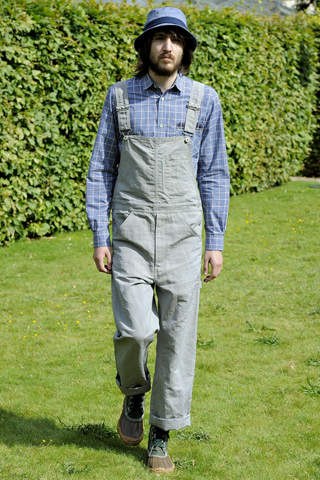 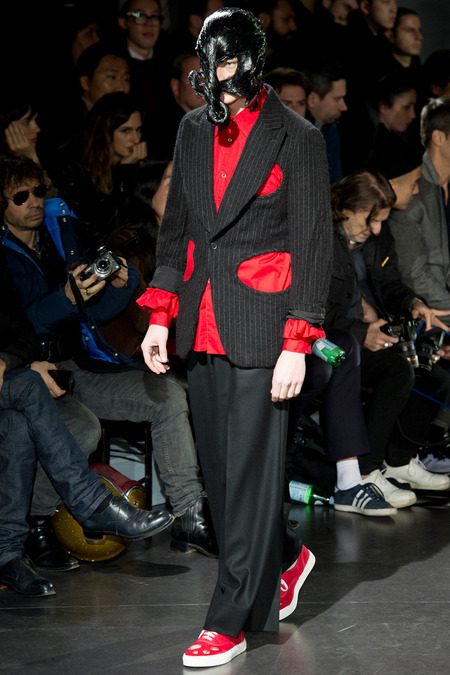 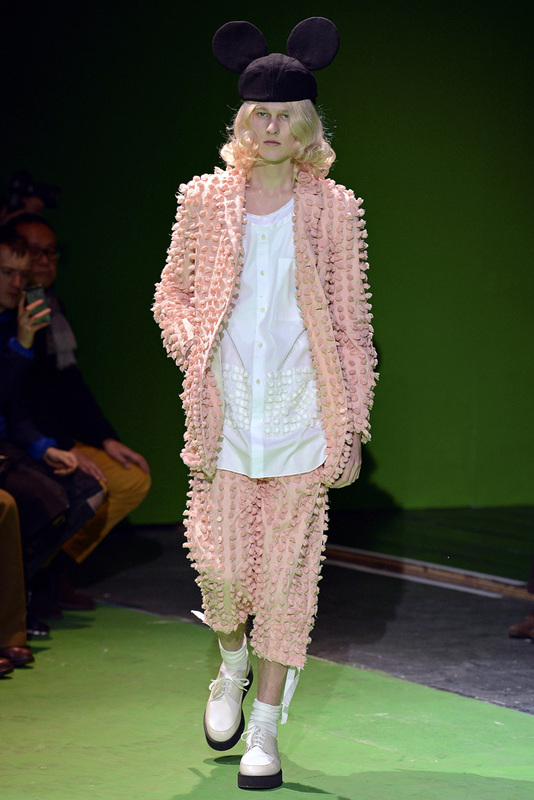 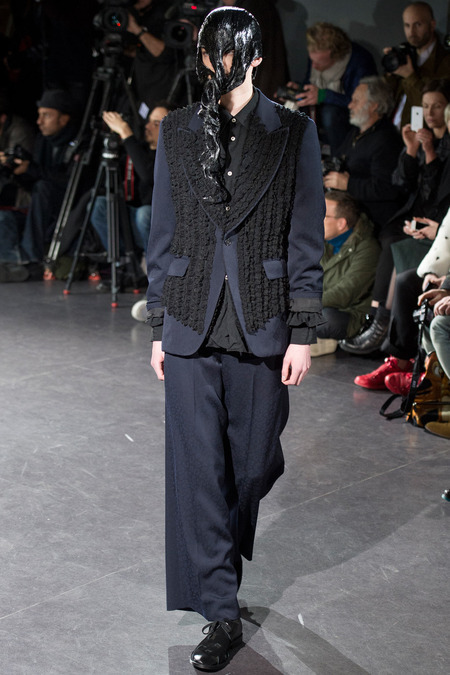 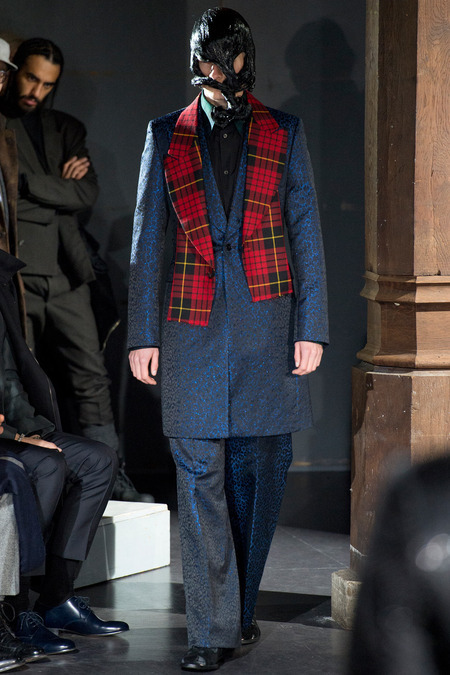 JUNYA WATANABE COMME des GARCONS 2012 Fall/Winter collections.